Looking for a unique way to show dad your love and gratitude? Give him the gift of being able to run or walk without injury, well in to his older years with a gift certificate for a ChiRunning or ChiWalking lesson. It will keep him active. 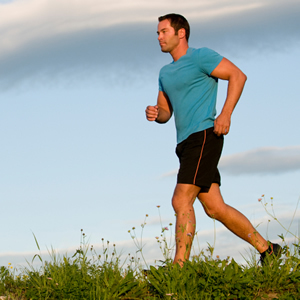 ChiRunning/Walking is a unique technique that blends the movement principles from the ancient martial art, T’ai Chi, with the active sports of running and walking. This blend creates a more mindful, centered and balanced approach to fitness, which is gentler, and less straining on your body. If movement is not painful, you’re more likely to be consistent in your fitness routine. A participant with a bunion, that typically was painful when she was walking, said that when using the ChiWalking technique, she couldn’t feel it. He’ll enjoy running/walking more. Most runners are unknowingly making running more difficult for themselves by working against two forces: the force of gravity, and the force of the oncoming road. In ChiRunning, you cooperate with forces. You cooperate with gravity by leaning in to in, in a forward fall, and with the oncoming road, by swinging your legs rearward, instead of striding out ahead of the body. This will enable dad to run more efficiently, with less effort, and with less risk or injury. He’ll develop strong core muscles. ChiRunning teaches you to run primarily using a strong set of core muscles, rather than strong legs. This can benefit your life in many more ways than just running, including some forms of back pain relief, and great posture. He’ll develop a mind/body connection. ChiRunning can offer a fresh new way to think about your run, putting the emphasis on listening to your body as you ask it to make that lap around the neighborhood or park. ChiRunning can help you recharge your batteries as you run giving you more energy to take to your job or life. Private ChiRunning lessons are $75/hour for one student. Email me at jeangilliswellness@gmail.com with any questions. ← Join Me for Summer Group ChiRunning Classes!